Without a doubt, by now you will have already done a lot of research to decide to study in Prague and to choose your higher education institution. Now it is time for you to do the same thing before committing to an internship. A good internship will not only give you an insight into your future profession but could possibly transition to a full-time position. Although a job offer is certainly not guaranteed, companies invest time and money into training their interns, and if you show them your best during the internship, you might get an offer before you even apply. Applying for an internship in Prague while studying at UNYP will help you to develop your professional identity and get a job after graduating. First things first, here are some tips which could help you find and land a suitable internship in Prague or elsewhere, depending on your plans. An internship could provide you with the real-world application of your university-taught skills that you will need to join the workforce. Moreover, an internship will give you the chance to determine what knowledge you lack, and what you could improve in your performance. Do you want a career-related experience? An opportunity to earn funds to help pay your tuition fees? Travel abroad? Keep in mind that the skills you learn during your internship will supplement the skills you learn in the classroom. A career-related summer internship is likely to give you a competitive edge when you seek your first graduate job. Sometimes university students don't realize that they already have a network of connections. Every contact you have could potentially help you to find an internship. Amongst your family, childhood and college friends, professors, and coworkers, someone might know of an organization that is looking to hire an intern like you. It is great to know who you want to be and where you want to work after graduation. However, it's essential to be flexible. An internship in the exact company or organization may not pan out, and it doesn't mean that you shouldn't do it at all. Be open to different opportunities. Typically, companies begin to look for summer interns a couple of months in advance. So if you are planning on spending your summer investing in your future career success, you should start looking for an internship now. Your actual job search is not the only aspect that you need to start early; make sure that you prepare your CV, cover and recommendation letters, online resumes and elevator pitches in good time, to avoid any last-minute confusion when you find an exciting opportunity. UNYP Career Office is built into the Student Affairs Center and is a permenant resource to support UNYP students and alumni in finding work and internships year round. UNYP Career Days are held every year and are designed to help our students find their dream jobs after graduation and get amazing internships during their studies. You might get lucky and meet your potential employers in the comfort of our campus. 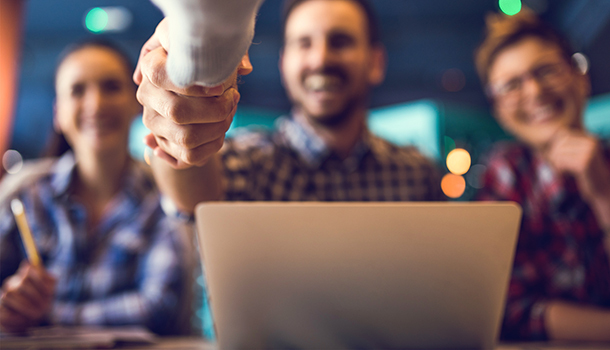 Don't worry if you haven't built a professional network just yet. You always can find an internship using online resources, for example, UNYP’s E-learning portal, glassdoor.com, linkedin.com, graduateland.com, indeed.com, www.ziprecruiter.com, expats.cz, monster.cz, etc. Check out the websites and social media channels of the companies from your list. Also, don’t underestimate the power of a Google search, sometimes the right internship can appear straight away if you use the right keywords. If you have never written a cover letter, now is the time to get on it. Create a few drafts that would highlight the qualities required for different positions you are looking for, making sure to adjust them accordingly to every individual job, and most importantly, ask somebody to proofread it. Even if you study English Language and Literature and consider yourself a master of the written word, show your letter to a few people to get some feedback before you send it to the company of your dreams. It always pays to have three strong letters of reference while applying for an internship or a job. An academic letter from a professor or a mentor, a personal referral from a successful friend and a professional letter from a previous employer are all good options. You never get a second chance to make a first impression, so keep in mind, that for certain positions you must have appropriate clothing. It doesn't have to be expensive, but be sure to avoid being vulgar or untidy. Iron your outfit the night before so you can leave for the interview in plenty of time. Even if you send a fantastic application for an internship, it could be worthless if you don’t follow up with the employer. Don't let your application get lost and forgotten! Follow up with an email in a few days, or even a call, if the employer doesn't respond to your follow-up email. Your enthusiasm might be the thing that distinguishes you from the other internship applicants.